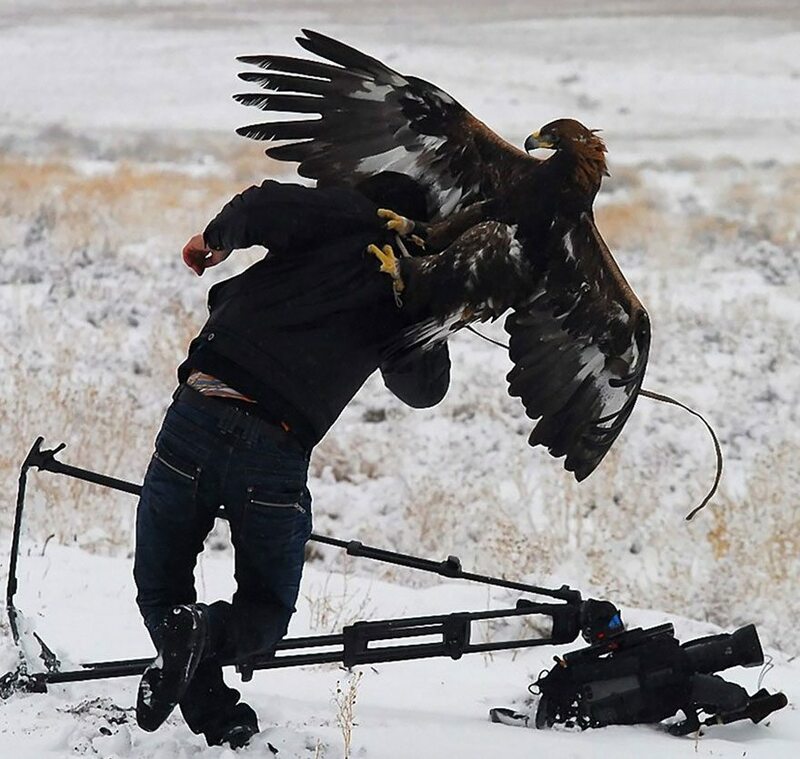 This guy’s photos were so good, the eagle made him his personal photographer! Please don’t bait us with stories and pictures you aren’t going to deliver on. You have here a title for 25 Priceless moments but there is only 1 picture with a caption that appears. That is rather depressing. You have to click on each “Page” number to see all the photos. Honestly, I prefer the numbers, so if one is especially appealing, I can show it to my husband later without scrolling through all twenty-five. Man,you are so negative,just be thankful that they shared us all the beauty of their talent. The description is also nice to go along with each one of them for us to smile. Just be thankful for everything people do and did an amazing job.God is so amazing to give each one of us to have a talent. Never mind with what it says just read and smile and look at the precious animal at same times.Gracious, so what if it is already in their the title? Gee whiz, please just be so kind and be so Thankful. Have a wonderful day smile. For God so Love the world. I agree!! Only one picture and there are no page numbers to click on~ I am unsubscribing! Bob, please take a lesson in keyboard management. There are no words for how beautiful, innocent and amazing animals are….especially baby animals! LOVE these!!! The photographers definately drew out the emotions desired. How Cool! I wanna know who took the picture of the guys running from the bear. Somebody far, far away – with a zoom lens and the car door open! Hope in fellows and let’s get OUT of here! Great photos! I’ve taken my best shots with a Canon, love photographing wildlife. These photos are priceless! I really enjoyed everyone of them. It’s amazing how curious wild life are and their unique responses to what we are doing. Great animal action shots the photographer was able to capture. Particularly liked #9, #11, #23, and #25. Butterflies live longer than 1 day… The average life span across species is 1 month. This photographer are so talented. Most of the baby animal are so precious and enocent,it is so cute when they are in their back or their head it is so amazing. I am amazed of how each person has each own talent and share for us to see,thank you so much.Wonderful job and I like what they say the photographer to each description of each animals. I am so cute? Or whatever it says under each picture are also fit the characteristics of each animal. What a beauty. Thank you,well done. Looking at these wonderful photos made my day! What a wonderful world it is we life in – all the creatures are important. And some are downright lovable! I loved each and everyone of these pictures!! They are priceless!! Is the Panda taking a picture of a baby set up, or did this truly happen? I tend towards naivety. Anf I’m 60. My husband says, don’t believe everything you see. He’s older. What tickles me is the obvious delight of he photographers when the animals actually come right up to see what’s going on. The Photographs listed below contain Animals Portrait photographs taken by amazing photographers, and they illustrate the beauty, complexity, and diversity of the animal kingdom.